Brin's airship, which is being built at the NASA Ames Research Center in Mountain View, California is touted to become the world's largest aircraft at about 200 metres long. Google co-founder Sergey Brin may be building his dream 'airship' which could be used to deliver supplies and food to remote locations, the Guardian newspaper reported. Brin's airship, which is being built at the NASA Ames Research Center in Mountain View, California, is touted to become the world's largest aircraft at about 200 metres long. However, Brin's airship will be smaller as compared to the Hindenburg Zeppelins of the 1930s. According to the Guardian, Brin is himself funding the airship which will be used to deliver essential supplies and food to far flung locations during humanitarian crisis. The $100 million airship will also serve as an extravagant intercontinental 'air yacht' for Brin's friends and family, it said. An airship designer who was part of the project during its early stages believes that airships can transform the global cargo industry. "Trucks are only as good as your roads, trains can only go where you have rails, and planes need airports. Airships can deliver from point A to point Z without stopping anywhere in between," the report quoted airship designer Igor Pasternak, as saying. According to the Guardian report, Brin's airship will use internal gas bladders to control its buoyancy. This is important because unlike an aircraft which needs a runway to take off and land, airships rely on buoyancy. If all the cargo is taken off the airship, keeping the airship steady may get difficult. Internal gas bladders will allow Brin's airship to off-load almost anywhere in the world. 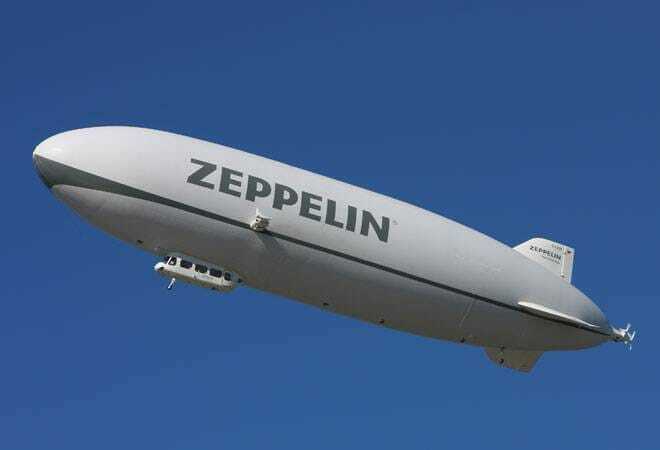 Although the airship was originally designed to use hydrogen for lifting purpose, but due to Federal Aviation Administration requirement that all airships must have non-flammable lifting gases, it is expected that Brin's airship will use helium as lifting gas.